Brandi's Mountain, a photo by The Bacher Family on Flickr. When I took this picture, one of my coworkers called it my "signature image." 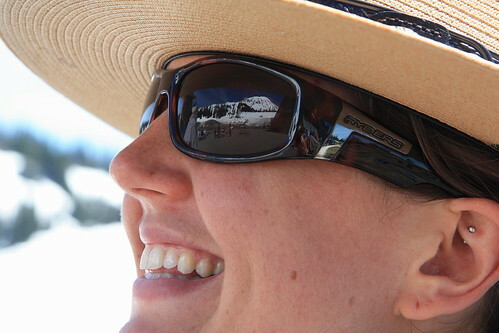 And indeed, I have to admit having a fascination with reflective surfaces of any kind, and especially sunglasses! But how can you resist pretty face, a cool ranger stetson, and the reflected image of one of the most majestic mountains in North America?